Mark your calendars for the 2019 NASFM Annual Conference! The Maryland, Virginia, and Delaware State Fire Marshals will be co-hosting the conference in beautiful Annapolis, Maryland July 22nd through July 25th, 2019. The conference site is the Westin Annapolis, located near downtown's top attractions including the United State Naval Academy, historic inns, restaurants, and cobblestone streets, and the magnificent Maryland State House. More information, along with conference registration information can be found on our conference webpage. The first three days of the conference will feature speakers and presentations covering a variety of topics relative to fire prevention, safety, and security. We will host a State Fire Marshals Only Breakfast all four mornings. These breakfasts are for the State Fire Marshals only. Make plans to attend our Monday Night Event, a dinner cruise aboard the Catherine Marie Yacht! We will also once again feature a dedicated Vendor Exhibit and Reception on Tuesday afternoon and evening with opportunities for attendees to learn first-hand of the latest technology and trends. The Exhibitor Guide and Sponsorship Guide provide more details on available opportunities. Interested vendors need to download, complete, and return the Exhibitor Agreement Form before registering for booth space. We are limited to 43 booths this year so don't miss out! If you are wondering whether sponsoring or exhibiting is worth it, check out what Chris Roberts, President of GHS Companies and Brands had to say about their continued participation. Carbon Monoxide poisoning is a proven dangerous threat, claiming approximately 450 lives annually, with another 21,000 Americans sent to emergency rooms due to unintentional poisonings, according to the Centers for Disease Control (CDC). The National Association of State Fire Marshals (NASFM), along with Safe Kids, has established the Awareness Week and is leading the charge to bring increased awareness to this “Invisible Killer.” Per the CDC, CO poisoning is the leading cause of accidental poisoning deaths in America, and because CO is an odorless, tasteless and colorless gas, many people are initially unaware they are even being poisoned. CO is produced anytime a fuel is burned. Potential sources of CO include gas or oil furnaces, water heaters, space heaters, clothes dryers, barbecue grills, fireplaces, wood-burning stoves, gas ovens, generators, and car exhaust fumes. CO bonds to hemoglobin in red blood cells and prevents oxygen from reaching vital organs, such as the brain and heart, causing dizziness, headache, and other flu-like symptoms. At high concentration levels, CO can cause loss of consciousness and even death, and people who are sleeping or intoxicated are more susceptible to succumbing to CO poisoning. If not properly ventilated and maintained, NASFM reminds you fuel-burning appliances can emit deadly levels of CO. Additionally, idling your vehicle or running a gas-powered generator in an attached garage can also lead to increased levels of CO, which allow fumes to seep into your home through doors or floorboards. “The only safe way to detect CO is with a properly functioning and maintained CO alarm,” added Browning. If the CO alarm sounds, leave the house immediately. Call 911 or the fire department after you are in a safe location with fresh air. Remain outside or by an open window until emergency personnel arrive. Test your CO alarm monthly and replace them according to the manufacturer’s instructions. If you do need to turn on your vehicle to warm it up, make sure to take it out of the garage to do so. Even if the garage door is open, don’t leave it sitting in the garage while the engine’s running. Check the vents for the dryer, furnace, stove and fireplace outside of your home to make sure they’re clear of any snow, leaves or other debris. Never use a generator indoors, and always ensure exhaust from the generator when used outside is not directed toward a door or window. 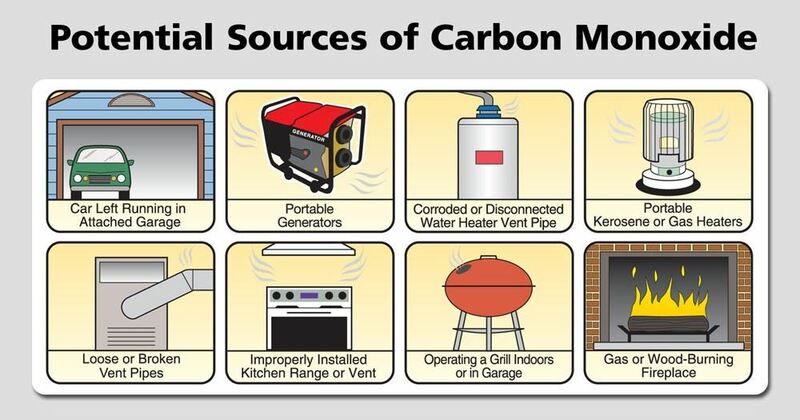 For more information about National CO Awareness Week, including tips and best practices on how to protect you and your family from the dangers of carbon monoxide poisoning, visit www.carbonmonoxidefacts.com. Please note our new mailing address and forward all future correspondence to this address. Thank you! 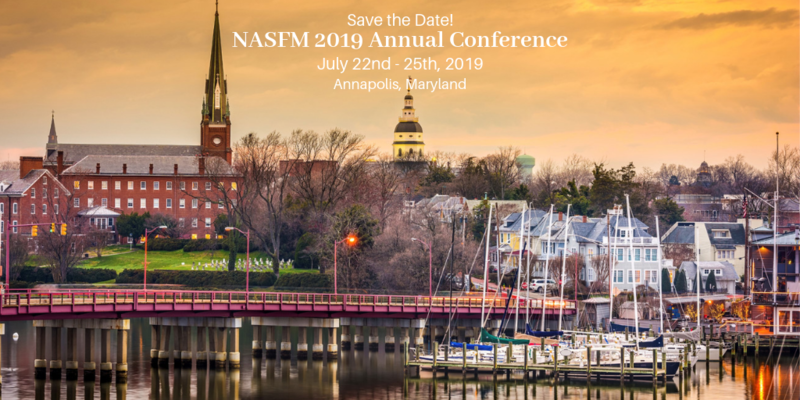 The 2019 NASFM Annual Conference will be held at the Westin Annapolis in Annapolis, Maryland July 22nd - 25th. 2017 Life Safety Achievement Awards Recipients have been announced. View the winners here.